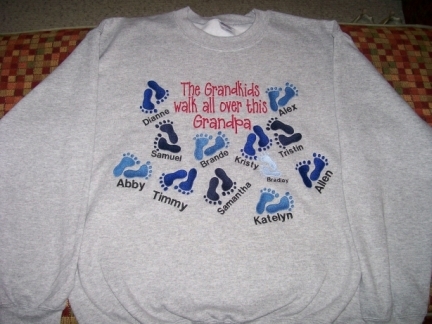 Grandpa likes to show off his Grands, too! This adorable design of little feet lovingly tells how he feels about them! You choose white or grey sweatshirt in sizes Medium - 2X.